Mrs. Mobbs was born in Little Rock, Arkansas, on April 9, 1936, to the late Mr. Daniel Webster Johnson and the late Mrs. Molinda Dunahew Johnson. She was preceded in death by her husband, Bobby Mobbs. Mrs. Mobbs grew up in Mississippi, was a graduate of Meriden High School, and East Mississippi Junior College, Scooba, MS. She was employed for a number of years at Inland Container Corporation as a PBX operator and at Rhoades Furniture Company. In 1998 she retired from the Floyd County Board of Education where she worked as the Insurance Coordinator for more than 20 years. She was a member of Lakeview Baptist Church. Funeral services for Mrs. Mobbs will be held on Tuesday, September 4, 2018 at 2 pm in the Carl Sidwell Chapel of Salmon Funeral Home, Rome, GA, with the Reverend Bob Agan officiating. Interment services will follow at Oaknoll Memorial Gardens. Active pallbearers shall be Jarred Hicks, Colton Hicks, Jameson Mobbs, Dakota Mobbs, John Ginn, and Greg Edwards. The family will receive friends at Salmon Funeral Home from 1 pm until the service hour. The family would like to express our gratitude to Dr. Herrin, Dr. McCormack, Seven Hills Place, and Hyman Hospice for their Loving care of her. 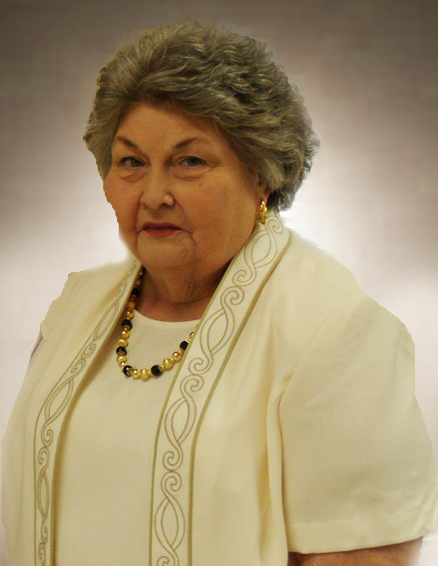 The staff of Salmon Funeral Home is honored to serve the family of Mrs. Syble Nell Mobbs.